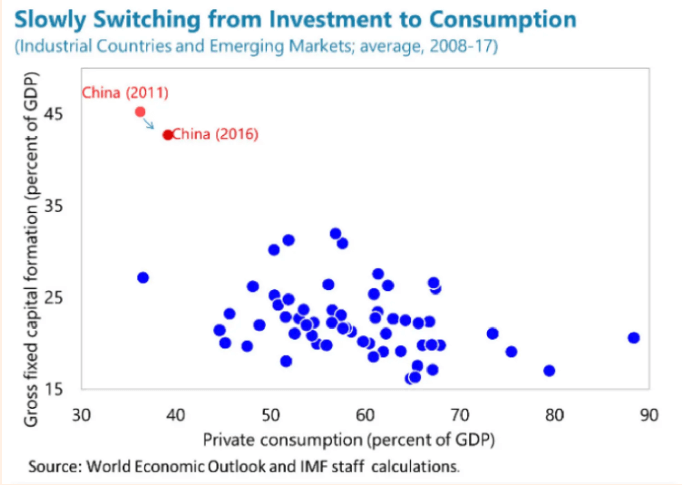 This entry was posted in China, Dubious statistics, Economic fundamentals, Guest Post on January 29, 2019 by Yves Smith. Not to be Alarmist, but if mellowing growth in China is inevitable from a variety of factors, but Donny’s trade war continues to be thrust into the spotlight, how likely is it that America gets characterized in public opinion (on both sides of the Pacific) as the cause of the slowdown? Or more simply, is Donny delivering the Chinese officials the perfect scapegoat on a silver platter? Donny is delivering pretty much everyone the perfect scapegoat on a silver platter. Got a policy that’s going to take a lot of flak when the public figures out the side effects or direct consequences? You got 2 years to push it through. I think its true to say that he is giving the Chinese the perfect ‘excuse’ for a managed slowdown in order to make fundamental changes in the economy. In fact, I thought this is exactly what the Chinese would do – use the trade war as a cover for making the type of switch from an investment to consumer led economy thats regularly recommended by people like Michael Pettis (which would inevitably lead to a painful transition period). However, so far there is no evidence of this – it does seem that Trump has sown a lot of confusion in the corridors of Beijing, they simply don’t know how to respond to his provocations. They’ve been thrashing around a little which has made Xi and his government look uncharateristically accident prone. Maybe we can reverse the old adage – insanity is doing the same thing over and over again expecting to get a different result. In China’s case – doing the same thing over and over again (investment) and expecting to get the same result. Welcome to the concept of “marginal return”. At this point growth can only come from more debt. Look at the US where 60% of folks can’t handle missing a paycheck or two. 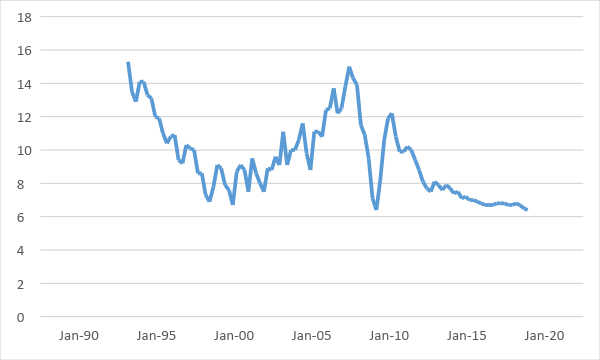 Not much slack for more consumption there – and that is at full employment. The dirty secret in China is NPLs. As long as no one screams “the emperor has no clothes” too loud, this can continue for a while. But when it ends … it will not be nice. The increasing authoritarianism under Xi will unleash quite a bit of blowback when the economy falls. Chinese fear most of all “luan” (chaos), so there is more rope that we would expect, but it is not endless. This is a really good overview. Even by Chinese standards, the government has become more opaque than usual over economic policy. It should be noted that in the past few years the government has been cranking up pressure on foreigners in China and especially academics to ‘toe the line’ or find their visas revoked. So increasingly its harder and harder to find genuinely independent informed commentary on what direction China is going. 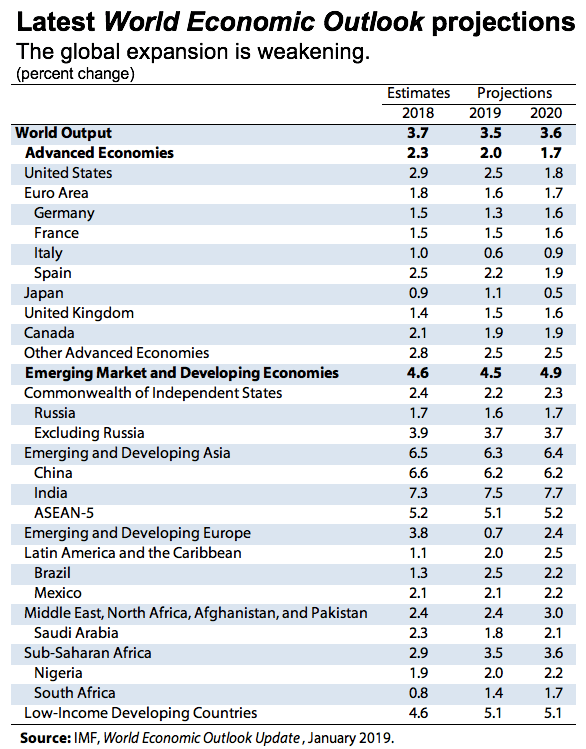 I think Pettis’ point on GDP is very important – there is a foreign fixation on the GDP figures which simply doesn’t reflect what is going on in the real economy (I’d recommend reading his blog for this to get his very detailed explanation for this). Its not – as is commonly thought – about faking figures to make things look better. Its confusing the raw measure of GDP with real activity on the real economy. The reality is that as far as many Chinese people are concerned, they are in a recession, there are fewer jobs and people are getting squeezed. I used to think that the Chinese government had a pretty good handle on what to do if and when the crunch finally comes with the repeated cycles of fiscal and monetary boosts and the Minsky moment arrives. There is no doubt they still have the capacity in theory to deal with it, especially as nearly all the monumental debt load is internal, not foreign debt. But I think there is more and more evidence of confusion at higher levels at when and what they should do apart from keeping the soft money flowing into the economy. One day this will stop working (that day may already have arrived). Unfortunately, it may be that the reflex impulse of the Party is to crack down hard on critics, not make economic reforms. As to the wider impact, I think the recieved wisdom has been that the Chinese domestic market is not big enough to have real wider global impacts in the event of a downturn. But those comments from O’Neill make me wonder if that is important is not current levels of demand for western goods in China, but in expectations levels. A lot of companies may have staked their futures on rising sales to China. They may be very disappointed, and that could be bad news for the rest of us. Have there been any studies of what the projected impact on resources would be if China consumed products and produce at the same rate as other advanced economies? It’s one thing to say that a little more than a billion people need to buy more stuff. It’s another thing entirely to make the stuff for them to buy. I’d be interested to see if anyone has considered the possibility that the net gain from China consuming more will be offset by the decreasing population elsewhere in the world. Otherwise a lot of these papers strike me as economists “assuming a can opener” to paraphrase an old punchline. I don’t think its a question that can be answered in any meaningful way, as there are so many scenarios. But if you take carbon emissions as a ‘proxy’ for resource use, then there probably (all other things being equal) be a huge difference as Chinese emissions per person are quite high (around the European average) – mostly because of the gigantic construction industry. A switch in the Chinese economy would probably mean less use of steel and concrete, more plastic and cars and other gadgets. Advanced countries have a very high variation in energy and resource uses (basically, north Americans use far more than Europeans or Japanese) for all sorts of cultural, political, economic and technological reasons. 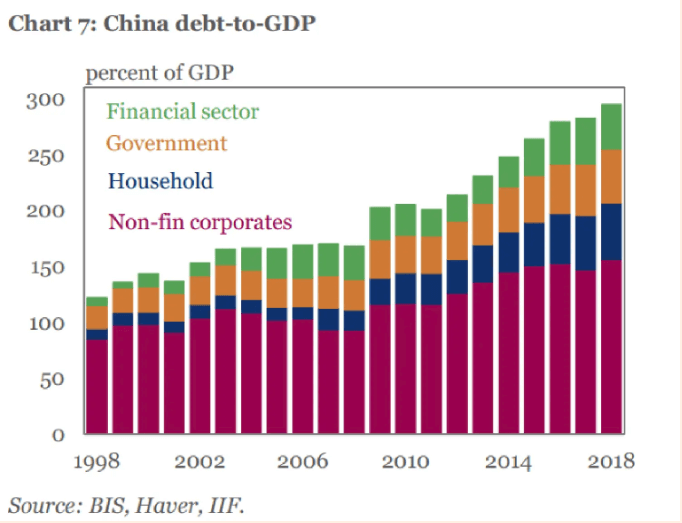 So Mr. Yu is of the opinion that it is quite possible to keep consumption and growth going but not if China relies on private banking and debt servicing – because newsflash, that causes exponentiating inflation in a nation of 1.4 billion consumers. And the residential sector is key – it needs to be directly funded by the government. Yu is no dummy, because the “…absorption of liquidity by the residential sector, and infrastructure, causes the need for more stimulus in order to support the rest of the economy. ” China has lots of room to grow its consumers. Feed me Seymour. Krugman et. al. don’t look at it this way (then they would have to admit the contradictions); all they see is an economy that is out of balance – investment will topple unless there is a stronger base of consumption. China can control this best by direct government stimulus, eliminating the private banks and investors altogether. It’s a no brainer as to which way China will choose. It will choose direct government spending. And the best part is that in so doing, China will avoid complete destruction of the environment merely for the sake of return on investment. Why doesn’t Krugman find a solution for that one? I would like to see a comment from Pettis on Yu. Yu looks quite “official” and seems to be worried mainly about bad debt and financial stress and that is why he states that “slower growth is what worries the most”. Slower growth is a given once China seriously starts to rebalance from investment driven to consumer driven economy so this economist seems inclined to follow current course with, as Pettis says, investments in bridges to nowhere in order to keep good GDP growth numbers as long as possible. The longer this goes on the more difficult will be the adjustment. Links to the tables and figures will be highly appreciated. 1. Michael Pettis’ point about China GDP growth numbers representing a *target* rather any sort of measure, however flawed such might be. The various local governments receiving said target from on high and being “expected” to meet it, year after year, guarantees that not just malinvestment but outright fakery will occur. The worse the state of the underlying real economy, the greater the scale of such Potemkin-GDP-ness. IOW, China GDP figures may be not-unreasonable when times are good, but they will likely be worse than useless when downturns occur. In the west, we’ve come to rely on GDP figures as our guide to downturns, even if such guidance is flawed and retrospective in nature. See the conundrum? Even such flawed guidance only makes any kind of sense if GDP is an output. And now that CCP has put the kibosh on the publication of the kinds of real-world data (e.g. electricity usage) which used to serve as a more-reliable proxy for GDP, the whole thing is a swamp of faked data and inputs-rather-than-outputs. — No, it is not merely “hard budget constraints” which limit GDP-to-the-moon economic stimulus, it is hard *resource* constraints, especially on resources which must be imported *and* where global markets’ ability to expand output to meet a massive China-sized stimulus program is limited. Oil is the prototypical example. Also, with exports getting hammered due to the trade war with the US and simultaneous slowdowns in other major regions of the world, China’s ability to boost internal demand sufficiently comes into renewed question. Also, even if they do manage to ramp up construction of empty cities and such, the environmental cost of such excess production should also be of concern. Sadly, real resource constraints and environmental costs of perpetual GDP growth as usual get short shrift among most practitioners of the economics profession.